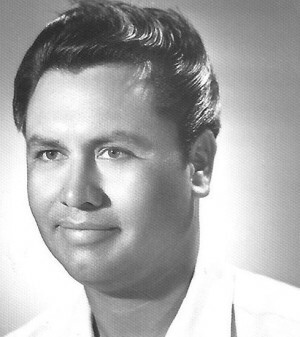 Obituary for Jose Margarito Rivera | Allen Brothers Mortuary, Inc.
Jose Rivera was born on June 9, 1933 in El Monte, California, and passed away peacefully on February 6, 2019 in San Marcos, California.The viewing will be held on February 21, 2019 at 5:00 pm – 8:00 pm at Allen Brothers Mortuary, 435 N. Twin Oaks Valley Road, San Marcos, CA. A Rosary at 6:00 pm followed by an intimate Reception at 7:00 pm. The Burial will be a grave site burial on February 22, 2019 at 11:00 am at The San Marcos Cemetery, 1021 Mulberry Drive, San Marcos CA. Reverend Nancy Suarez will lead us in a brief Reading in English. Following Reverend Suarez will be our Family member, Martha Richardson, and she will lead us in a brief Spanish Reading. Jose Rivera is survived by his wife Maria Julia Rivera of 64 years in a blissful marriage and a childhood crush since the age of 7. Along with his wife Mr. Rivera leaves behind a daughter, Dora R. Knoblock, two sons Jaime Rivera and Gabriel Rivera. Two granddaughters, Julia L. Knoblock and Ashley E. Rivera and one grandson Jerry Rivera.